Lose yourself in the comforting slopes of your bed and take the much needed break by having a staycation. Staycation is a portmanteau of stay and vacation. It is a holiday or vacation during which an individual or family stays and relaxes at the comfort of own home. Nowadays, it is a trend and I, myself is a self-confessed staycation lover and all the while I thought taking staycations were just only having fun, until I realized that we are making memories. 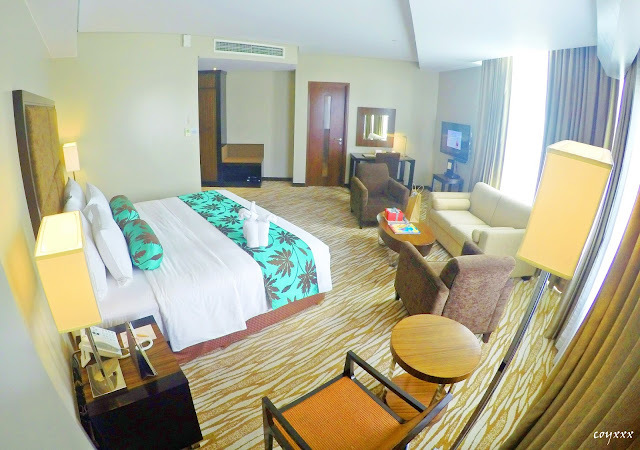 Recently, I had a staycation in Acacia Hotel Manila – a modern day Filipino five-star hotel that offers luxury and elegance ideal for leisure and business travelers seeking comfort within the metro. 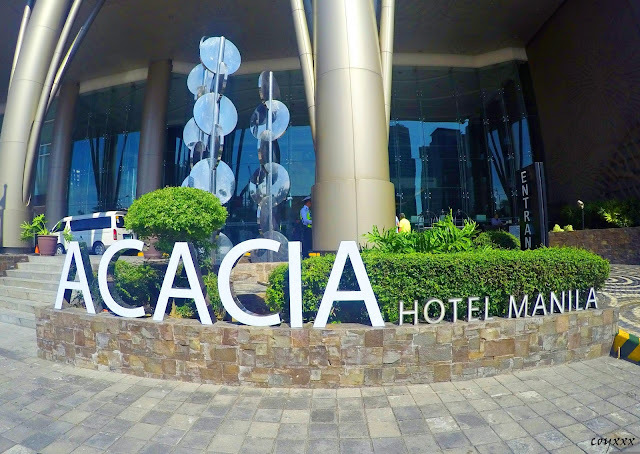 Acacia Hotel Manila is located at the South of Metro Manila. It is situated at the center of the bustling business and commercial district of Filinvest Corporate City Alabang in Muntinlupa. The hotel is proudly 100% Filipino and it is famous for its world-class hotel service showcasing the true qualities of Filipino hospitality (which is considered to be a distinct characteristic than that of other cultures). Certainly, their slogan speaks for itself – “Filipino Like No Other”. Just like an Acacia tree, it provides the perfect shade of comfort and a safe haven for shelter. Acacia Hotel Manila has 261 well-appointed guestrooms and all rooms are painted with warm earth colors which exudes the feel of comfort and luxury. Thus, creating a satisfying and relaxing stay for each guests. The hotel features six (6) different types of accommodations – Deluxe Room, Junior Suite, Executive Suite, Bay Suite, Commerce Suite and Acacia Suite and each guestrooms are equipped with essential amenities tailored on each and everyone’s needs. Each guestrooms has a 40inch cable LED TV with premium channels and multimedia box, individually controlled air condition, large executive desks, electronic “Do Not Disturb” and “Make Up Room” signs, well stocked mini bar, coffee and tea making facilities, in-room dining menu and spacious marble baths with separate shower and bath tub. Other amenities include complimentary bottled water, towels and toiletries including dental care kits, safety deposit box, high speed Wi-Fi and LAN internet connection, IDD/NDD telephone facility, flat iron with iron board and hair dryer. Likewise, Acacia Hotel Manila has an outdoor swimming pool for kids and adult as well as fitness center which are equipped with state-of-the-art cardio and strengthening equipment’s perfect for active individuals. 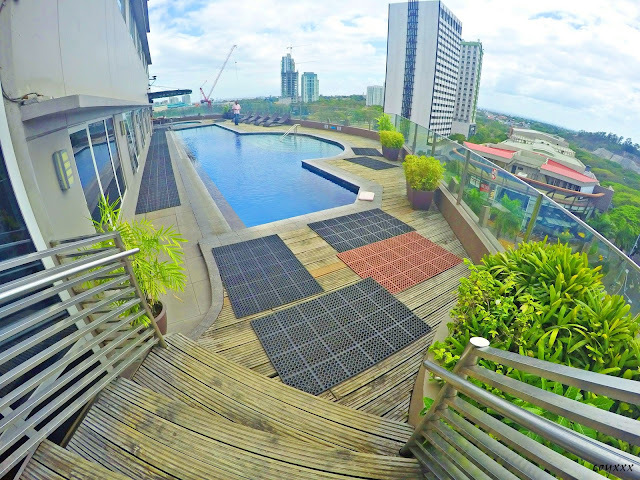 The hotel also offers special services such as laundry service, airport transfers as well as complimentary shuttle service within the Alabang commercial area. 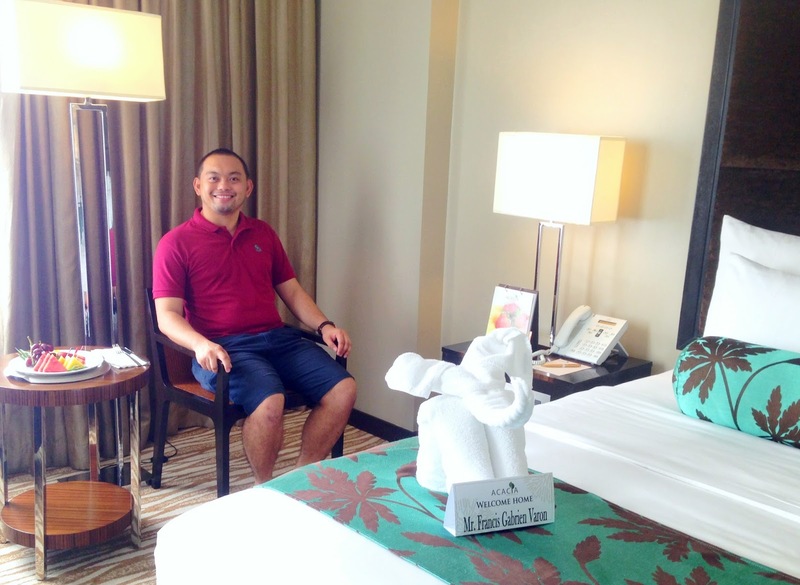 In my recent staycation at Acacia Hotel Manila, I stayed at their Junior Suite. I got really impressed the moment I stepped in on the room. It’s almost close to perfection! Aside of being surrounded by a warm earth colors, what I liked about the room is its location. The room is strategically located at the corner which creates an ample space to move around making the living area more spacious. Likewise, the floor-to-ceiling picture windows is a sight because it gives the best view of the city plus it uses natural and intimate lighting. Another thing I liked most with Acacia Hotel Manila is their much-raved dream bed (a customized orthopedic bed with memory foam tops). Their dream bed makes me resist to leave the bed at all. It felt so good to lie on their bed, very relaxing. However, I’m quite sad because I wasn’t able to experience the pillow selection service which is also one of the prime features of this hotel. This pillow selection service promotes enhanced sleep quality by letting its guests choose from a wide selection of pillow. I don’t know why. Sad! But still, I had a good and rejuvenating sleep. Lastly, instead of having a regular welcome drinks Acacia Hotel Manila welcomed us by providing a fifteen (15) minute complimentary head and back massage. It was the most relaxing fifteen (15) minutes of my life after grueling two (2) hour traffic. It may look like a simple act but for me it created a big impact. Furthermore, they have well-trained staffs and associates whom I consider the friendliest amongst I have come across. No doubt Acacia Hotel Manila is one of the best hotels in the metro. All in all, I had a pleasing staycation at Acacia Hotel Manila. During my entire stay, I stayed only within the premises of the hotel and yet still had a good time. 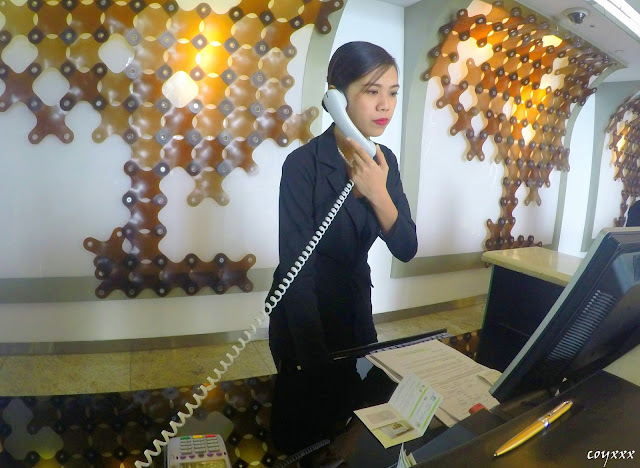 With this kind of experience, it established and raised my standard for quality and luxury hotel. 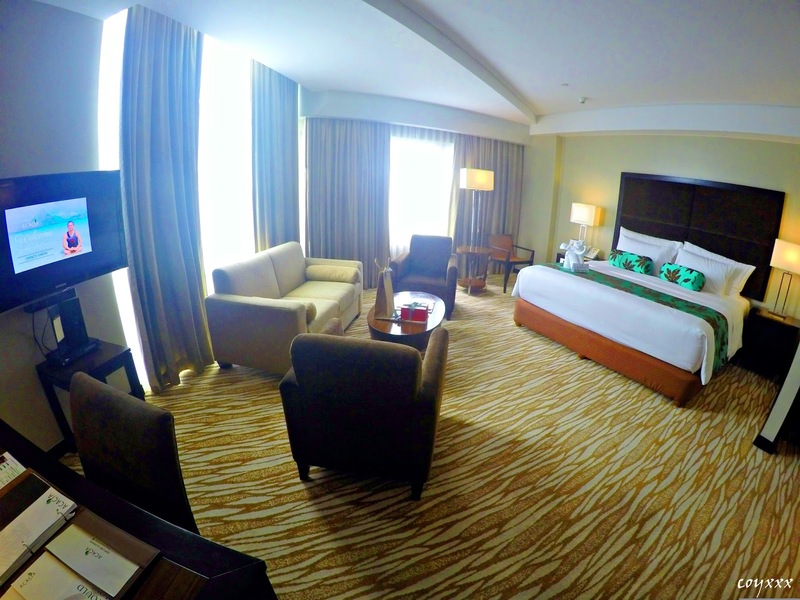 I would definitely recommend Acacia Hotel Manila as your next staycation destination! Complementing the topnotch facilities of Acacia Hotel Manila are its gastronomic food offerings. The hotel has four (4) in-house restaurant – The Steakhouse, Acací, The Lobby At Acacia and Tree Top Lounge serving exceptional local and international cuisines. 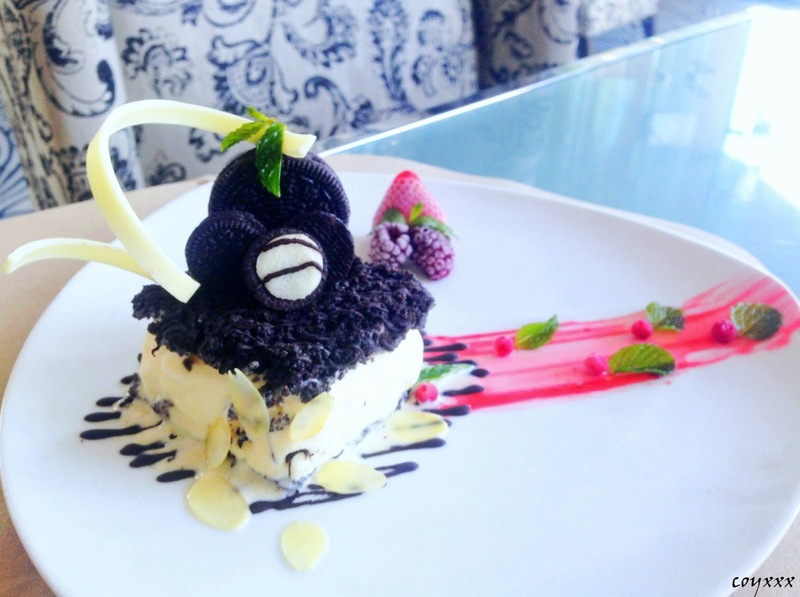 Likewise, the hotel serves freshly baked cookies, cakes and breads thru their in-house dessert and pastry shop. 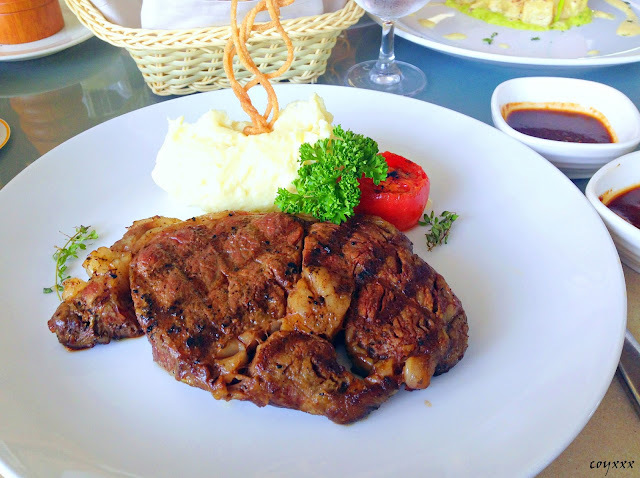 It was past noon time when we arrived at the hotel and upon arrival we were advised that the hotel prepared a lunch at the Steakhouse. While at the Steakhouse, the chef and its associates prepared their house specialties – Acacia’s French Onion Soup, Table Side Caesar’s Salad, USDA Prime Grilled Rib Eye Steak and New York Cheesecake. Moreover, they also served Crispy Nori Shrimp Salad with Wasabi Mayo and Shoyu Glaze Shrimp Bisque Soup, Rosemary Poached Salmon and Oreo Mudpie from The Lobby at Acacia. These are all served in fine dining setting. Among the food that they served, the most promising for me is the rib eye steak because it was prepared according to my preference plus it’s flavorful. Also the beef was tender that you will know that it was selected carefully from the very best. In general, I enjoyed the food a lot! Actually, it was food coma experience. At dinner, we tried their in-room dining service by ordering another set of good meals. I was impressed with their service as it was delivered on time, no need for follow-ups. For dinner, we ordered two (2) different types of pasta, four cheese pizza and again oreo mudpie for dessert and as usual we’re more than satisfied with the quality of food. But the highlight of our staycation is the complimentary buffet breakfast at the Acací. Acací takes pride with its wide array of food selection and stylish and chic ambiance. Their full-length floor-to-ceiling glass windows lets its diners enjoy the interesting view of the bustling street while eating its mouthwatering buffet spread. Whenever I’m having a staycation, I always include in my to-do-list is getting a massage. It is a must especially when I am desperately needing a break. Getting pampered like a king at a professional spa with well-trained and licensed massage therapist is the ultimate treat. 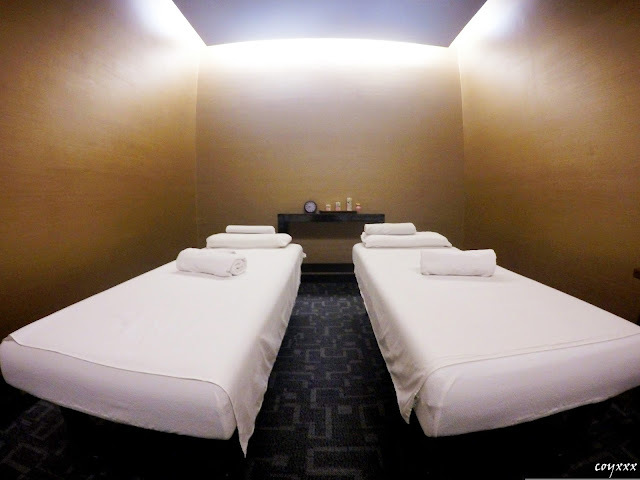 Now, let me share my experience with Lurra Wellness Spa at Acacia Hotel Manila. The spa is located at the 3rd floor of the hotel building and it is considered as a haven for rest and relaxation which provides total rejuvenation. Lurra Wellness Spa is open daily from 1300H – 2400H. During my visit, I had a one (1) hour Swedish massage. The massage was calming enough that made me fall asleep right after the session started. With its long firm strokes, the therapy went beyond relaxation. The massage is worth every penny plus the spa is equipped with modern and topnotch facilities. 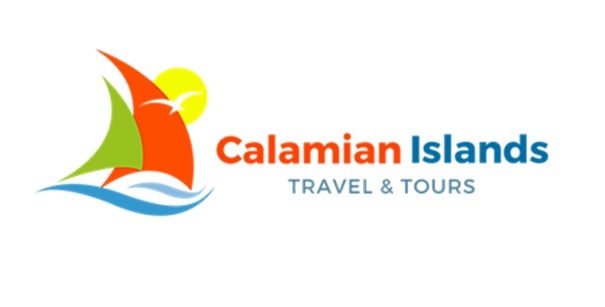 For promos and discounts, you may also book at Travelbook Philippines. DISCLOSURE: The stay was sponsored by Acacia Hotel Manila but rest assured, opinions written on this article are solely my own. You're welcome! You should visit Acacia Hotel Manila to experience the best of Filipino hospitality.